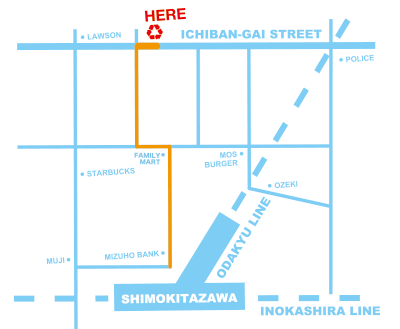 5 minute walk from the north exit of Shimokitazawa station!! The store is located on the "Ichibangai" Street. 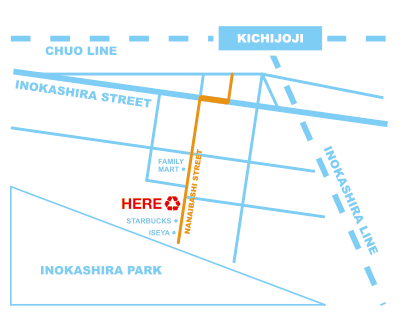 5 minute walk from the south exit of Kichijoji station!! 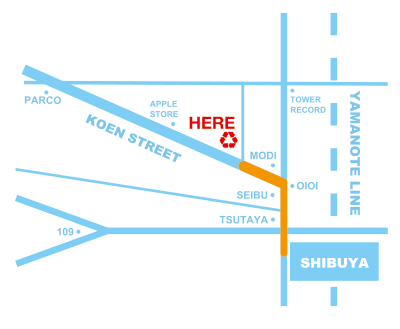 The store is located on Nanaibashi road right before Inokashira Park. 3 minute walk from Hachiko exit at Shibuya station! We are located at the 5th floor along the right side of Koen street.